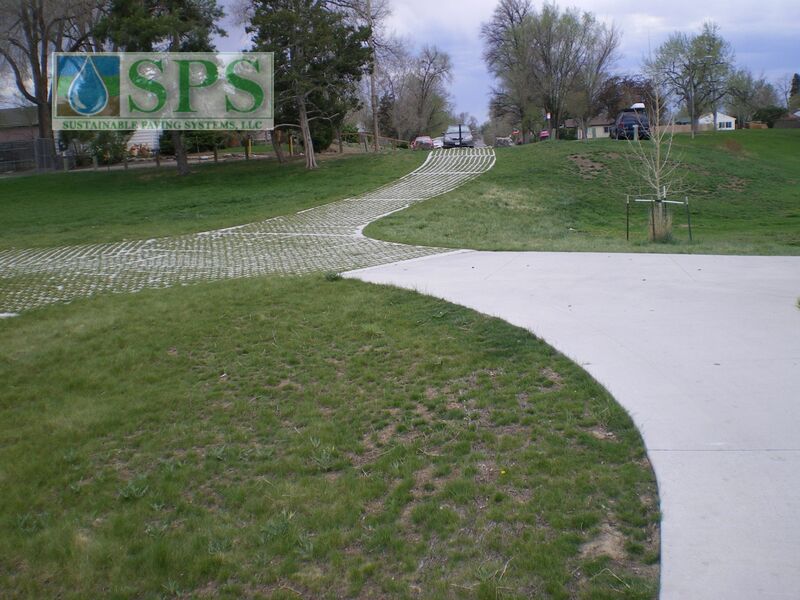 Denver Parks and Recreation was in need of a pervious, grassed pavement system for the maintenance access to the Barnum Wetlands Forebay. They sought out WHPacific, Inc. for recommendations. The vacuum truck used for maintenance weighs 103,000 lbs fully loaded. 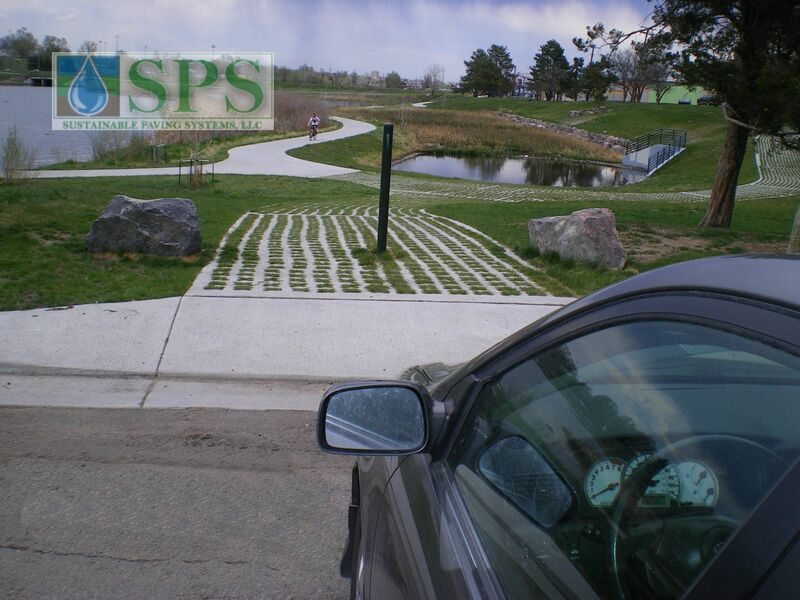 Grasscrete, a pervious concrete system designed to allow water to pass freely through while maintaining a structural integrity adequate to support the required vehicles was chosen. The Grasscrete system selected can be purely functional or can be a concealed product that is both functional and pleasing in appearance. 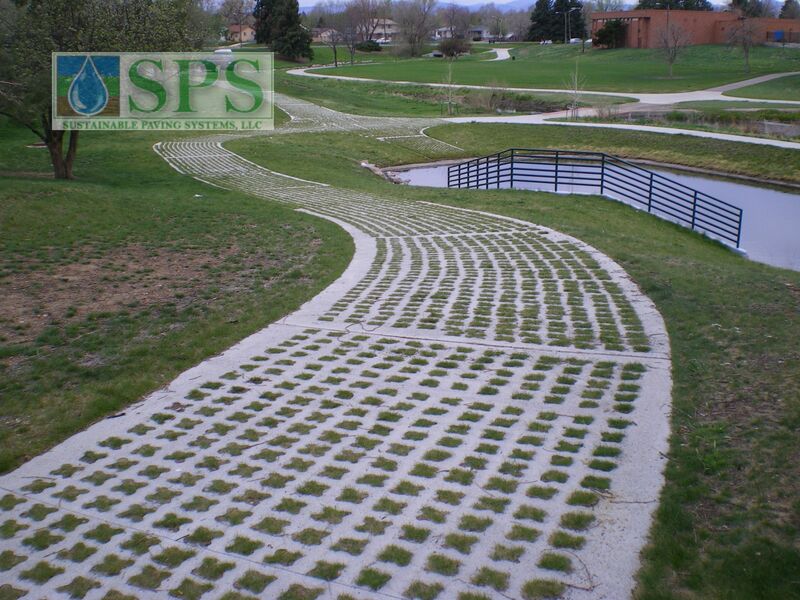 Grasscrete offers the end-user the ability to provide year-round access for a variety of applications requiring structural paving surfaces without compromising the aesthetics of their exterior landscaping and having to utilize traditional hard pavements, minimizing the need to control storm water runoff. 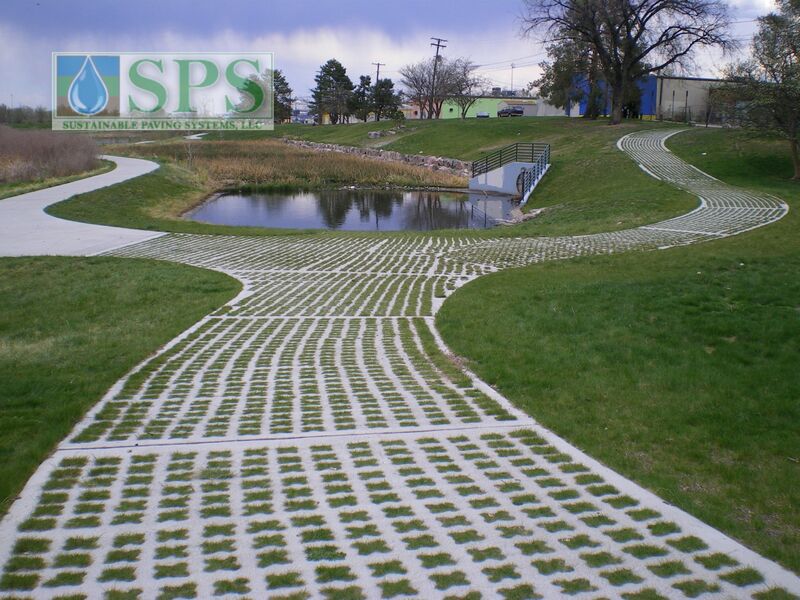 Grasscrete constructed with Molded Pulp Formers can be employed as a stabilization product for areas that experience seasonal runoff or storm water channeling. 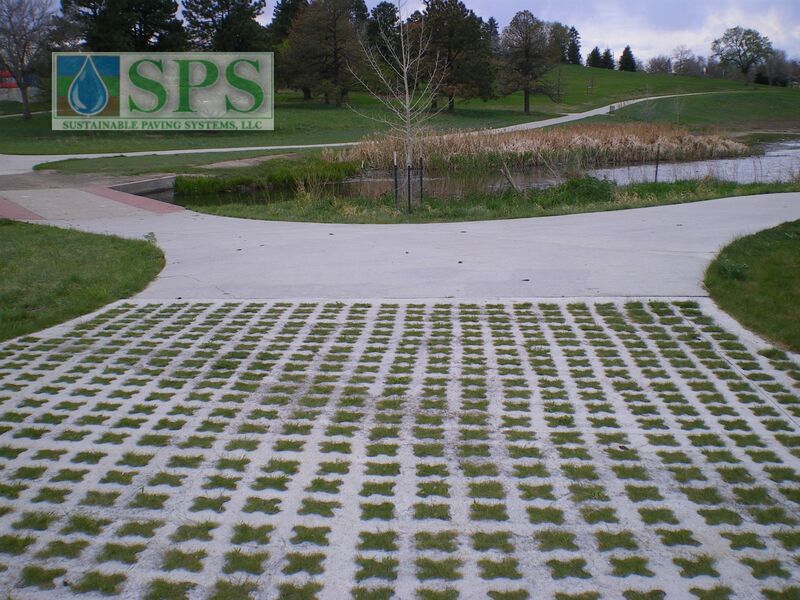 Pervious installations requiring maximum water capacity, such as those over rainwater harvesters or crushed stone reservoirs, are excellent applications for the Grasscrete product cast using the Molded Pulp Former. 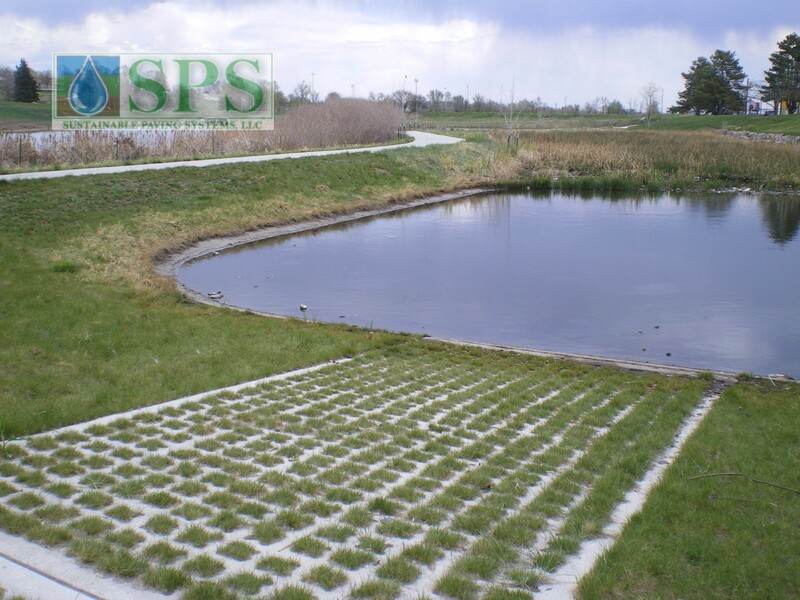 Grasscrete can be customized to suit a wide variety of applications, including, but not limited to, the elimination of retention ponds or utilization of retaining areas, flood plain for overflow parking and the management of sediment buildup such as adjacent to large storm water inlets. 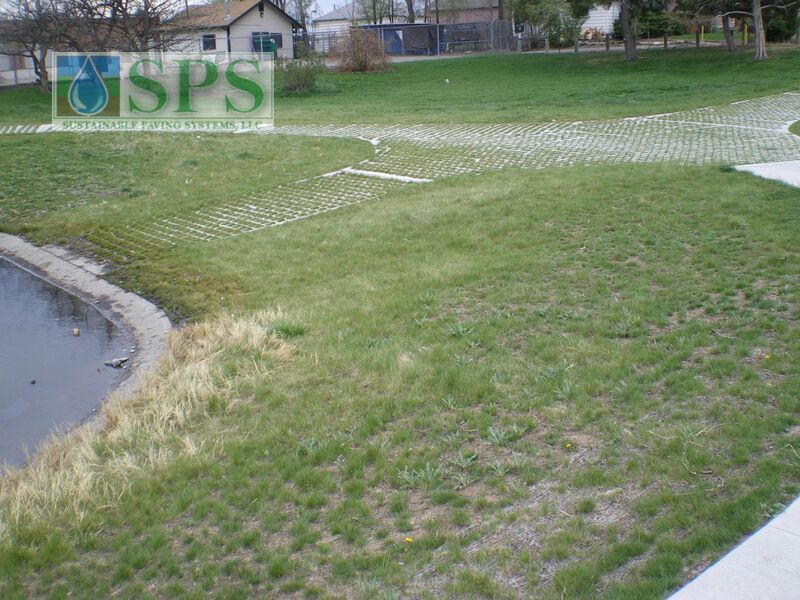 Recently to handle stormwater coming off the adjacent Federal Boulevard, the Colorado Department of Transportation opted to build a new constructed wetland, to store the stormwater runoff before it ultimately reaches the 4-acre Barnum Park Reservoir. The newly created Barnum Park Wetlands now catches stormwater runoff from Federal Boulevard. 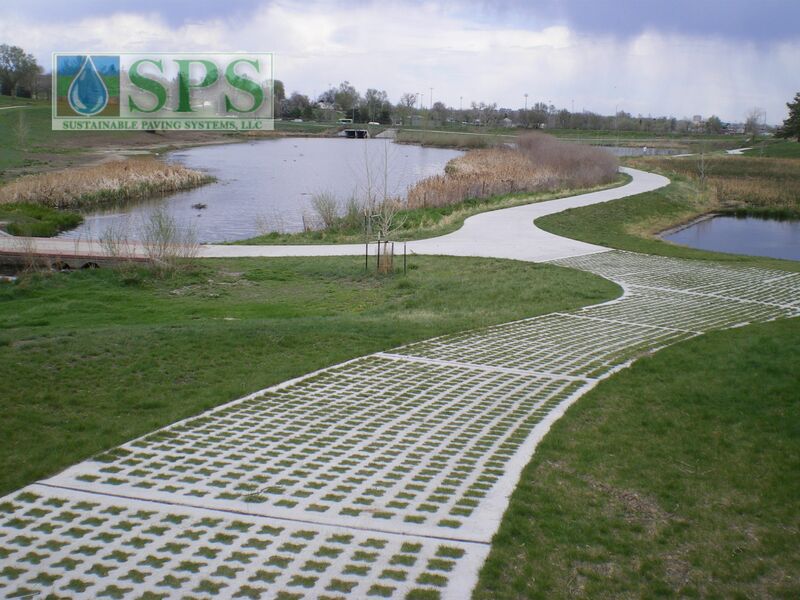 The stormwater system first directs the runoff into a concrete basin, from which it drains into the wetland, which is approximately an acre in size. Any overflow from the wetland enters the Barnum Park Reservoir, just west of the project. Starting this summer the Grasscrete access road originally installed will be extended to the newly developed area.